It's hard to believe it's been two and a half years since Tent City Urbanism was published. While I haven't posted here in a bit, in the past I've reported on progress made in 2014 and 2015, and thought I would give it a try again this year. The Village Collaborative Network continues to grow, with over 1,000 people now listed in all corners of the country and beyond. But bringing the village model to fruition has been met by various political barriers in many areas. 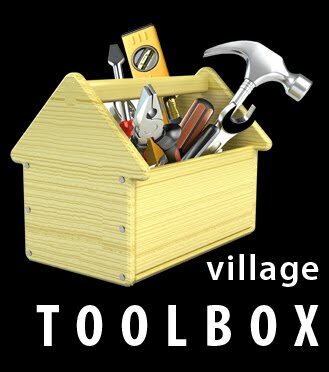 At SquareOne Villages, we've been working on compiling a Tiny House Village Toolbox, which we're preparing to launch in early 2017, with the intent of providing a set of resources to assist more groups in launching a tiny home community in their area. This work was made possible by a grant from Meyer Memorial Trust, and we just received a second grant to build our capacity to "lead, innovate, and disseminate the development of affordable tiny house villages throughout Oregon" over the next two years. Emerald Village received its land use approvals, and is scheduled to open by summer. We also partnered with the Cottage Village Coalition to plan a similar permanent, affordable village in Cottage Grove, Oregon. And in November, the Medford City Council unanimously approved a site for Hope Village, a tiny house community modeled after Opportunity Village. 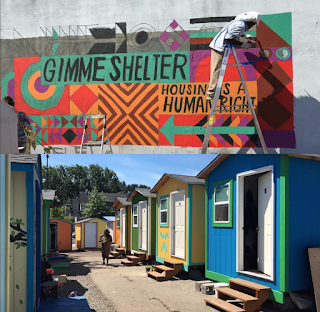 Seattle's Tent City 3 and Portland's Dignity Village provided foundational inspiration for Tent City Urbanism by pioneering a successful, democratic community-based model for responding to homelessness. While the two examples were first established back in 2000, this year we saw a heavy resurgence in a next generation of villages from both Northwest cities. A partnership between Nickelsville, LIHI, and the City of Seattle led to four different tent cities and tiny house villages being legally established throughout the city in 2016. Following on this success, the city has sanctioned three additional communities that will open in 2017, providing precedent for scaling-up the village model. A collaboration between two dozen high school and community college construction programs will lead the building of the tiny homes. Portland's Village Coalition is making similar progress, in which several existing self-governed tent and tiny house communities—like Dignity Village, Right 2 Dream Too, Hazelnut Grove, and Forgotten Realm—and a variety of advocates have banded together. As part of the POD Initiative, a collaborative design workshop was held in October, and then during a two-week period in December, fourteen unique "sleeping pods" with a footprint between 6’x8’ and 8’x12’ were built by various teams. After being put on display a few weeks ago, there are now plans to move the structures to the Kenton Neighborhood to form Argyle Village in early 2017. Finally, advancements were also made on the policy end. Thanks to an effort led by Andrew Morrison and several other tiny house advocates, a Tiny House Appendix was approved for the next iteration of the International Residential Code. Meanwhile, a state law was signed in California, allowing the City of San Jose "to temporarily suspend state building, safety and health codes for the purpose of building 'unconventional' housing structures," which they are calling Bridge Housing Communities. Looking forward to seeing how things play out in 2017! A slew of clickbait headlines struck fear into the tiny house community last month—incorrectly stating that a proposed policy of the Department of Housing and Urban Development (HUD) sought to make tiny houses illegal. As the subtitle suggests, the study was focused in Lane County, Oregon–in particular, the neighboring cities of Eugene and Springfield. The report concludes: "We found that tiny home villages are a good solution to increase affordable housing stock in Lane County, Oregon. It is also projected that tiny home villages will create communal support, benefitting residents’ likelihood of long-term housing, employment, and contentment." Community support—both in the surrounding community and within the village itself—was identified as key to the success of a tiny home village. 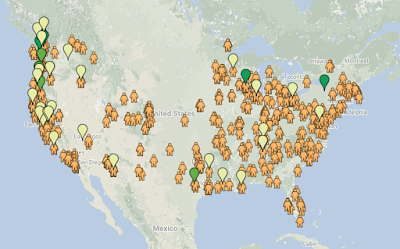 "All the tiny home villages with whom we spoke noted that the neighborhood community was more likely to support the building of a tiny home village if residents were notified in the early planning stages and included in discussions." It also emphasizes the importance of internal community agreements as—"a concise way to inform the residents and the surrounding neighborhood of the positive culture that the village is fostering." It's concluded that: "Neighborhood outreach, a community agreement, and an application process will help a tiny home village be successful once built. Internal and external community support could help the project transcend stigma against the marginally housed." The report also highlights the efficiency and durability of tiny homes, stating, "Even though tiny homes take less time to build than regular homes, more permanent tiny houses are expected to last the same amount of time as regular houses." Various HUD funding streams, such as Community Development Block Grants (CDBGs) and Low Income Housing Tax Credits (LIHTCs), are reviewed in the context of their ability to be used for the development of tiny home villages. It's pointed out that the cost and complexity of the application process for LIHTCs—a popular way to subsidize modern affordable housing built by private developers—is a barrier to small non-profit organizations. Instead, the Self-Help Homeownership Opportunity Program (SHOP) is identified as a particularly good match. It allows for the inclusion of "sweat equity" and volunteer labor, which lends itself to tiny homes utilizing simple construction practices. The ability to evaluate the effectiveness of tiny home villages was limited, since there is not yet much data collected on the subject. However, the report identifies some useful metrics to collect future research, which we intend to put to use in our work with SquareOne Villages. "Future developers in Eugene can benefit from the example set by SquareOne Villages, the organization that built Opportunity Village and is planning Emerald Village. Since the process of permitting and zoning a tiny home village has already succeeded in Eugene, developers could follow the established path." I've seen a ton of misinformation being spread in regards to the legality of tiny houses, and decided to get in on the conversation to try and articulate the irony of this particular juncture in the tiny house movement. The article and video linked below seems as though it must be an April Fool's prank, but these concerns have been circulating for awhile. "HUD Wants to make living in tiny houses illegal!" The current controversy is around a new rule proposed by the Department of Housing and Urban Development (HUD), which "proposes to revise the exemption for recreational vehicles that are not self-propelled from HUD’s Manufactured Housing Procedural and Enforcement Regulations... which would define a recreational vehicle as one built on a vehicular structure, not certified as a manufactured home, designed only for recreational use and not as a primary residence or for permanent occupancy..."
While I strongly disagree with policies aimed at delegitimizing transient lifestyles through definitions of what is "permanent," the policy being discussed is not as big of a deal for tiny house enthusiasts as it's being made out to be. In fact, it's a non-issue. 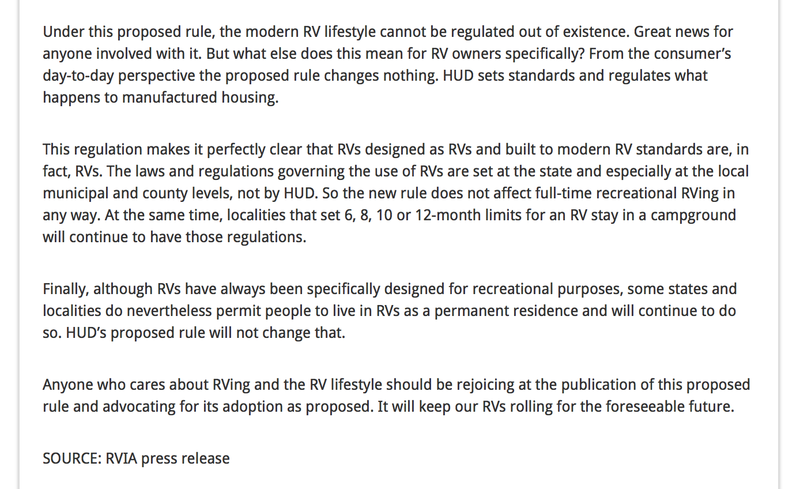 As a recent press release by the Recreation Vehicle Industry Association (RVIA) clearly states: "The laws and regulations governing the use of RVs are set at the state and especially at the local municipal and county levels, not by HUD. So the new rule does not affect full-time recreational RVing in any way." "The new proposal would dictate that a tiny house, if built to ANSI or NFPA standards, is an RV and thus not suitable for permanent occupancy. The reality is that it is already illegal to live permanently in an RV in most places anyway. That is something that local zoning ordinances specifically dictate. So the problem here is the idea of certifying your tiny house as an RV rather than seeking permanent residential status through the building codes division." Basically, recreational vehicles are typically already disqualified as permanent dwellings anywhere local zoning ordinances are enforced. This is why I did not support recent approaches to legitimize tiny houses by certifying them as RVs, which by definition are not permanent. It shouldn't come as a surprise that HUD is not willing to recognize something on wheels as permanent housing. After all, the entire idea of placing these alternative housing structures on wheels in the first place was to escape the formal regulation under the building code! While placing the humble abodes on trailers was a creative approach for allowing the structures to be built legally, it is very unlikely a path to establishing them as a primary residence. However, this first phase of the tiny house movement was incredibly important in that the trailer provided a vehicle (literally and figuratively) to put forth imagery that persuaded a diverse range of people to rethink housing. Jay Shafer did not invent the tiny house in the early 2000's—there is a long history of alternative, minamalist architecture. What he did was successfully market a product that had previously been dismissed by the mainstream media as too radical and fringe. But Shafer's tiny houses were so damn charming and, most importantly, they looked like traditional, idyllic homes, albeit on a miniature scale. Previous iterations, such as those displayed in the 1979 book Rolling Homes, were much more makeshift and not nearly as polished. Likely because these older examples were more often carried out by owner-builders not as concerned with marketing and selling their homes as a product. Following the media’s initial fascination with this subject as symbols of an economic recession in the mid-2000's, tiny houses on wheels have gone on to capture the hearts and imaginations of a growing number of people. And maybe even more importantly, they have started a public conversation around the over-sized nature of modern housing trends in general. In the process, the trailer has become an iconic component of a "tiny house"—so much so that some now include it in their definition—but do we really love these simple homes because they are on wheels? But, in my experience hearing from and reading about people living in tiny houses, they hardly ever relocate the structures more than once or twice, in which case designing around the confines of a mobile trailer doesn’t seem entirely practical. In other words, I'm arguing that the trailer has served its purpose of putting the “tiny house” on the political map, and we are now in a position to move towards a second phase of the tiny house movement. 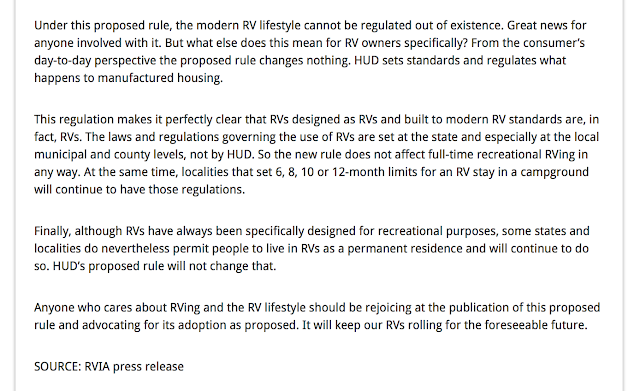 I agree with Andrew Morrison’s assertion that "the best approach for legalizing tiny houses is not through HUD, it is not through the RVIA [Recreational Vehicle Industry Association], it is through the IRC [International Residential Code].” However, I'm not as concerned as Morrison that the current IRC (the standard building code used in the U.S.) is a major roadblock needing to be overcome. And a critical amendment to the 2015 IRC made building tiny much more doable, removing the arbitrary requirement of having one room of at least 120 square feet. So if the goal is to live full-time in your tiny house in a consistent, long-term location, then put it on a foundation. There are a couple of approaches to accomplish this: 1) building the tiny house directly on a foundation, or 2) moving the house by trailer, and then anchoring it to a foundation. SquareOne Villages is demonstrating the first approach—building on foundations with it’s Emerald Village project in Eugene, OR. You can check out the plans for this permanent, 24-unit tiny home community here. (Note that when I use “permanent” in relation to housing, I mean security of tenure where you have a permanent right to stay in the dwelling). The second approach of setting a tiny house on a foundation may be suitable to many existing tiny housers, who relocate their houses but on a very infrequent basis. The building code would require the structure to be anchored to the foundation, but there are methods for doing this within existing codes so that it could be dismounted from the foundation and moved by trailer if desired. You could even build it on a trailer, remove the wheels, and then anchor your structure to the foundation if you wanted to. "Manufactured dwellings", formerly known as mobile homes (note the rebranding of these structures seems to be a pivot away from any connotation with mobility and transiency), already do this using helical anchors, so no need to reinvent the wheel here. In summary, the recent HUD proposal is not as devastating as those click-bait titles suggest. It just means that certifying your tiny house as an RV is not the route for you if your goal is full-time residency in a consistent, long-term location. However, that goal can be achieved through various strategies for attaching tiny houses to foundations. I don't think HUD has anything against tiny houses in particular. What I do know is that the disconnect between HUD and the American people runs deep. There is an unmistakable demand for this type of simple housing option, but it appears they are unsure how to adapt something outside of the norm to their convoluted funding streams and requirements. 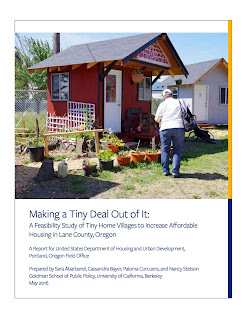 HUD is recently tasked a group of UC Berkeley graduate students to advise them on if and how they should fund tiny house villages as a means to address the lack of affordable housing. Let's hope that this might be a first step in beginning a productive conversation. For more information on this subject, check out this press release from the Recreational Vehicle Industry Association.